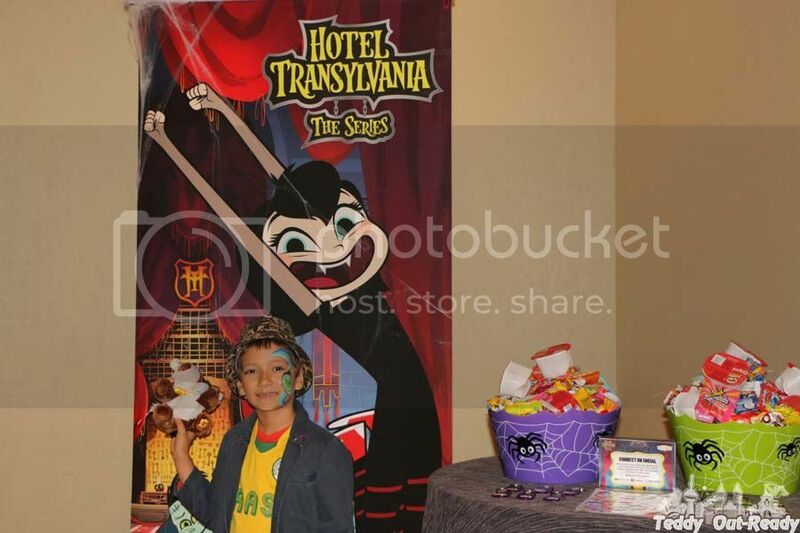 Hotel Transylvania: The Series premiered on TELETOON this fall. After the huge success of 2012 movie Hotel Transylvania and Hotel Transylvania 2, new animated series are coming to your home to bring new stories about hilarious and spooky characters. 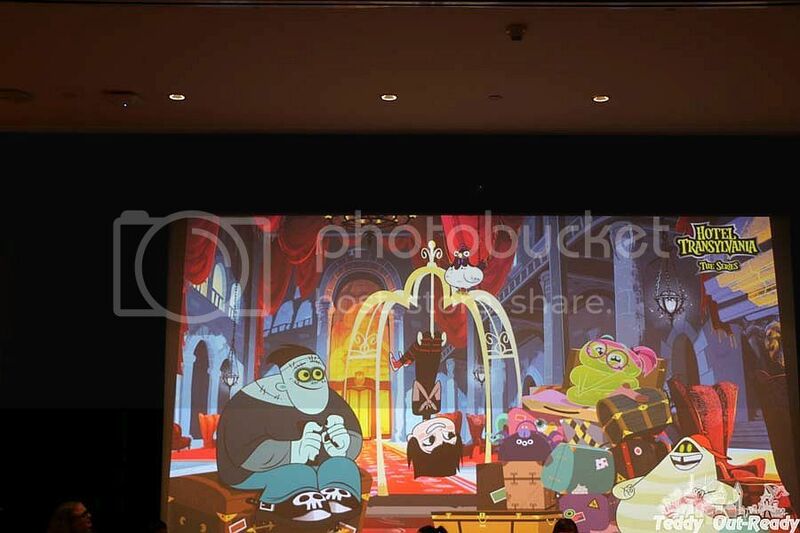 Hotel Transylvania: The Series focuses on the teenage years of Dracula’s daughter, Mavis, and her three closest friends Hank N Stein, Pedro and Wendy Blob. With Dracula away on "Official Vampire Business," Mavis finally sees her chance to show her father what she can do. With the help of her friends, she decides to put her brilliant ideas of how to run the Hotel into motion, but …..enter Aunt Lydia, Dracula’s older and much meaner sister. While Mavis and friends are ready to let loose and have fun, Aunt Lydia pushes for even more order and tradition at the Hotel. The gang needs to put their plans to work, but there is never a quiet day at Hotel Transylvania, always something happening there! 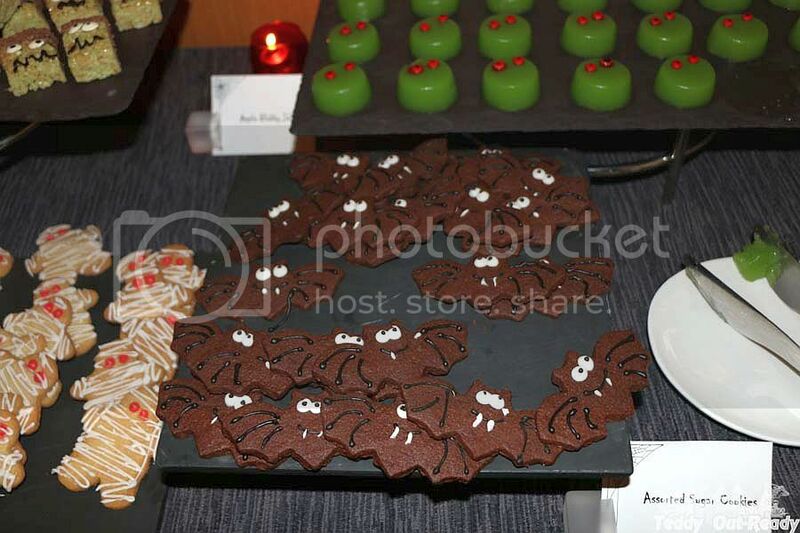 Last week we had a chance to join Hotel Transylvania: The Series event at Shangri-La Hotel in Toronto. 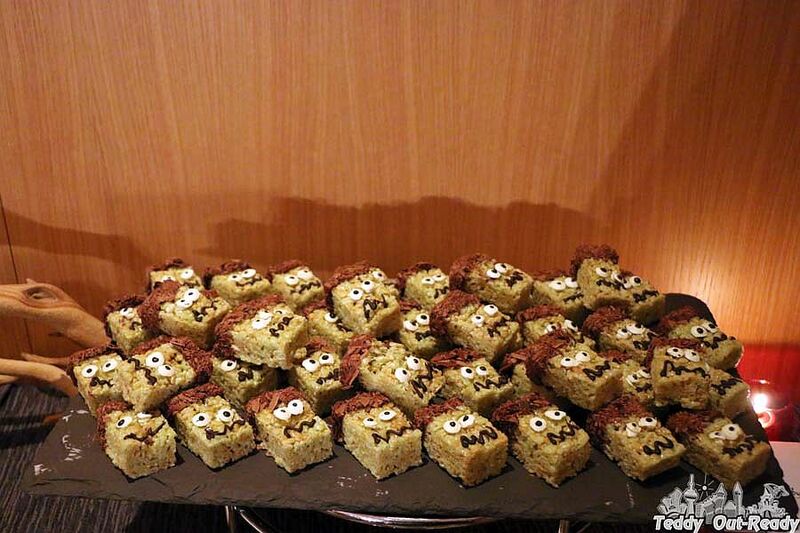 With upcoming Halloween we dove in the atmosphere of Hotel Transylvania with fun activities and the series inspired food. We were greeted by friendly Hotel Transylvania staff and were given a tour of the rooms. The decoration around reminded Hotel Transylvania environment with bats, skeletons, mystical light and candles! Teddy decided to dress up as Dennis in yellow sport jersey and shorts. 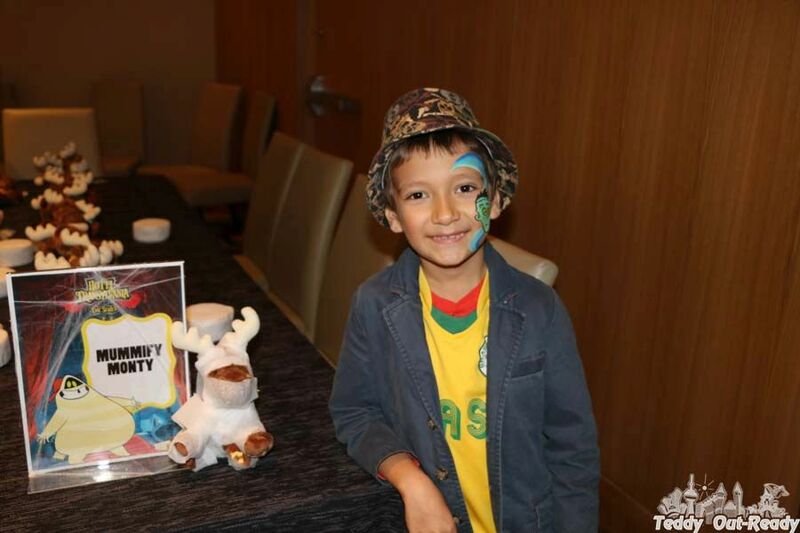 Our first stop was face painting station and Teddy got amazing Frankie art. The artist lady was incredibly talented and she was very quick with her work. Then Teddy made a mummy moose, wrapping it in a white roll paper. We were joking about that we were preparing our moose for cold Canadian winter by dressing him up. Touch-and-Scream station offered visitors an opportunity to touch some scary items without seeing them like Bellhop Brains or Witches' Teeth. Teddy was really scared of Werewolf Eyeballs, they were wet and slimy. In real they were just grapes, but touching makes you feel that they are someone's eyes. 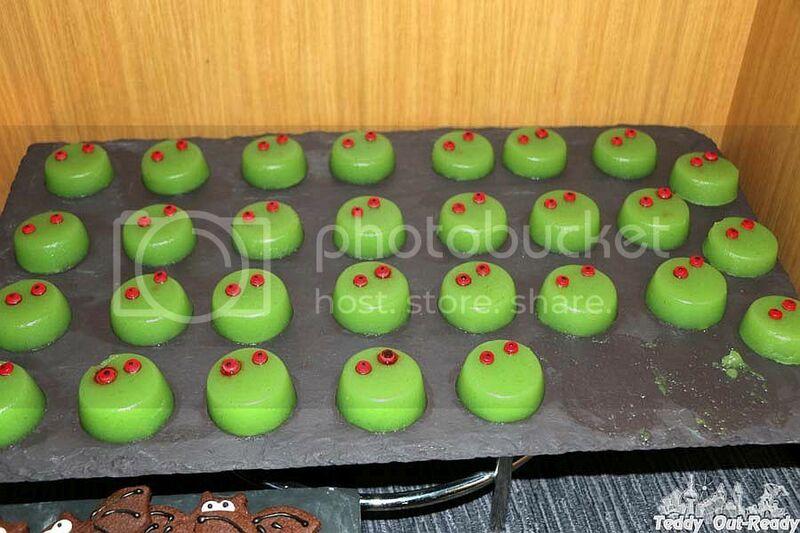 The food we had was influenced by the Hotel Transylvania series and Halloween. 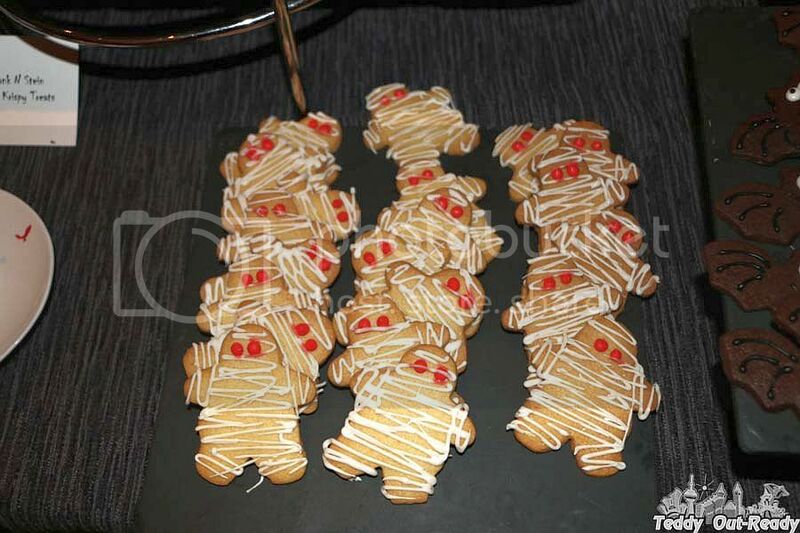 We had Apple Blobby Jellies, Mummy Wrapped Hot Dogs, Dracula's Chicken Fingers and Fries, Monster Rice Krispie Squares and Bloody drinks. 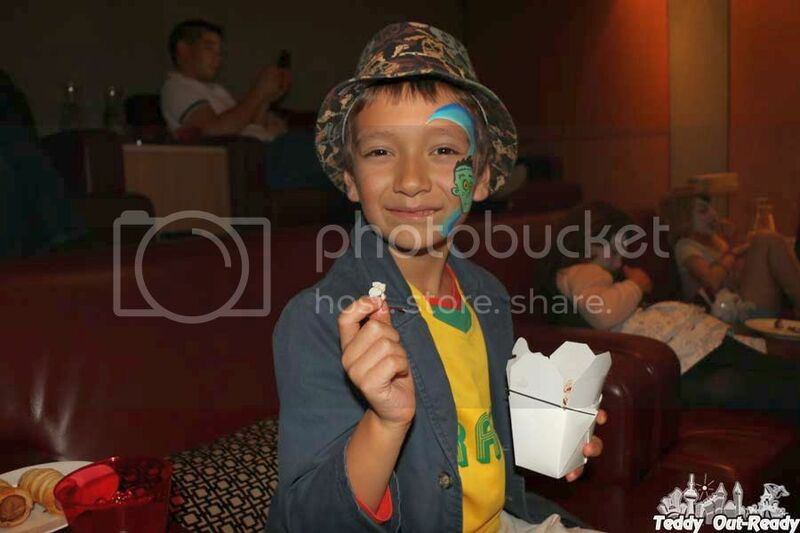 At the end of our monstrous activities was screening Hotel Transylvania: The Series never-seen-episodes in the comfortable hotel Screening Room with a box of popcorn. It was great experience, Teddy did not want to leave the room and wanted the series continued. 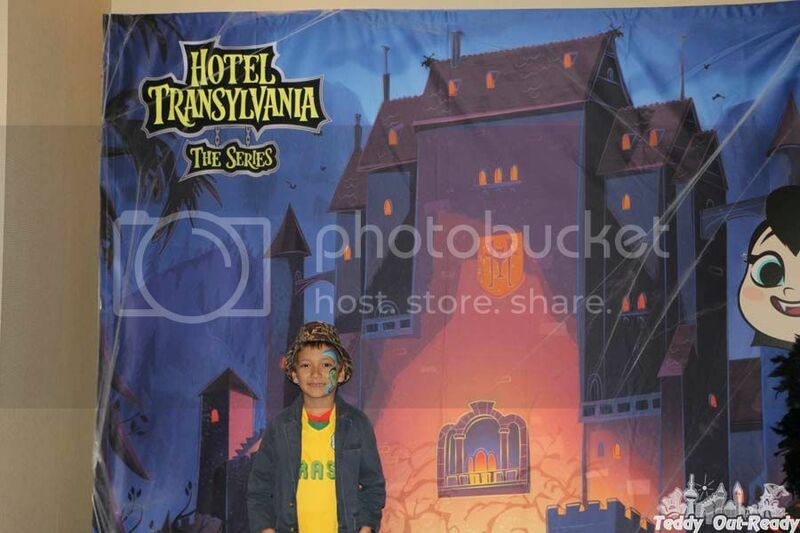 We had a good time at Hotel Transylvania: The Series event, having some fun with all the treats and activities. Join us and catch new episodes of the series on weekend mornings at 7:30 am on TELETOON. Mavis and her friends always welcome you at Hotel Transylvania!